In this post I would like to thank everyone, who managed to attend the session "Oracle ADF Performance Tuning War Stories" on ADF EMG Sunday at Oracle Open World 2013. I was proud to speak at this session along with Stephen Johnson and Frank Houweling. 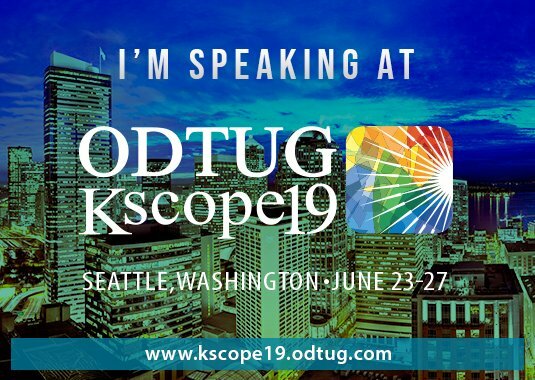 I hope this session will help ADF developers to feel themselves more confidently and understand better how to tune their applications and JVM. Since Oracle ADF Essentials has been released it changed the mind of Java EE developers across the world. They started to look at ADF as at the serious alternative to a set of heterogeneous frameworks and technologies the used to build Web applications. They realized that this single powerful framework could provide them with almost everything they needed, and absolutely for free! Nowadays there are a number of books and various resources providing plenty of information about Oracle ADF. But what could be chosen as a starting point? 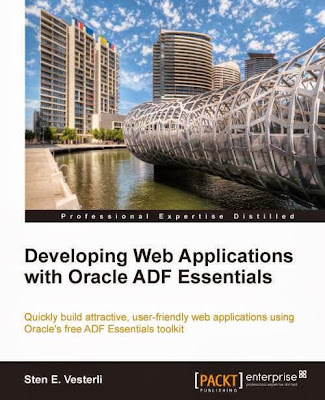 A few months ago I was proud to be a technical reviewer of a new ADF book Developing Web Applications with Oracle ADF Essentials by Sten Vesterli. The book has been published at the end of August 2013. Being not a thick book, this resource manages to show the full power of Oracle ADF Essentials on 250 pages only, and the reading is really enjoyable and easy. I would recommend this book as an excellent starting point for those who want to know what Oracle ADF is all about.